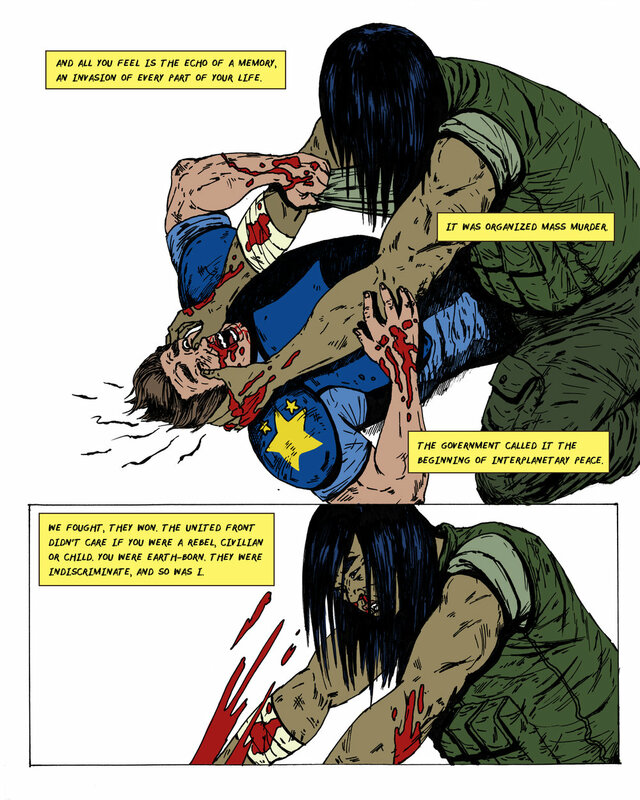 Danger Wolf is a story about a hero in the twilight of his career. Set in the early 80’s in the desert city of San Lazaro, our story takes place in a once thriving gambling mecca suffering from crime and urban rot after gambling was outlawed nearly overnight." 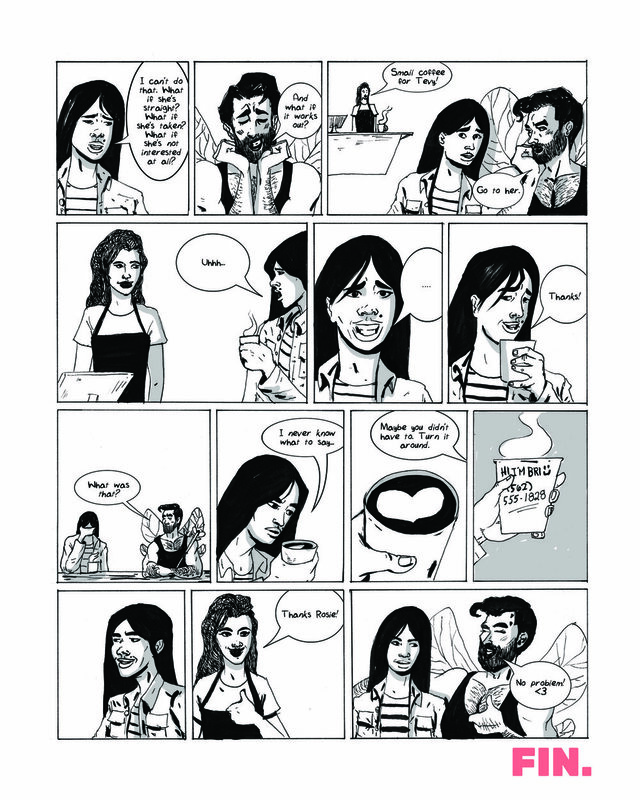 A comic strip made for New Frontiers that features many Asian cartoonists centered around the life and legacy of George Takei. "New Frontiers: The Many Worlds of George Takei explores the life and career of pioneering actor, activist, and social media icon George Takei. By examining Takei’s diverse experiences and achievements, this entertaining exhibition creates a portrait of a unique individual while offering an innovative means of engaging with the social history of America. For more information about the exhibition and related public programs, visit janm.org/new-frontiers"
Space Punk #1 is a future dream of a universe ruled by superpower nation: China. 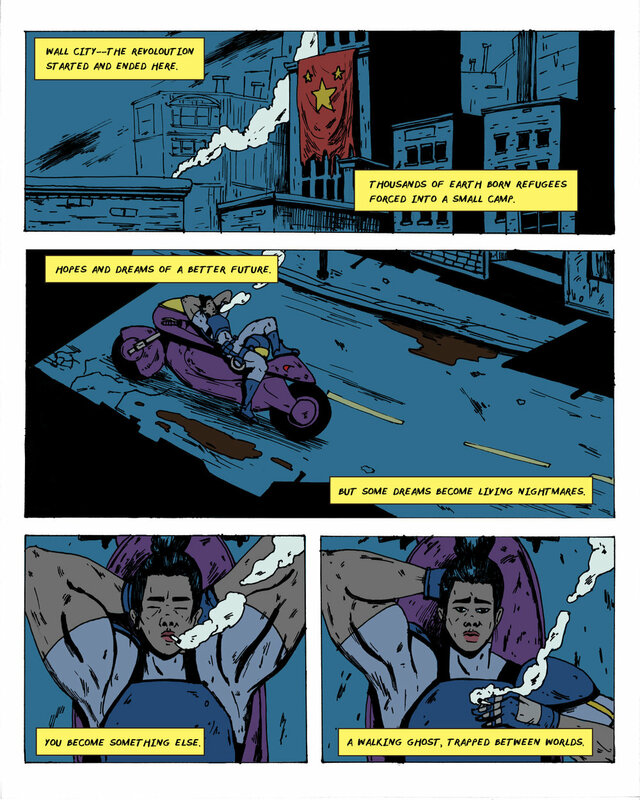 Our main hero Sinn is motorcycle obsessed non-gender conforming police officer plagued by a dark past, drug addiction, and struggles to maintain a normal life away from her years as a child soldier. While riding around the city, she is challenged by a mysterious local rider whose bike is known as White Dragon. Jean is an alcoholic who lives alone with her dog Bronson. She has unexplainable blackouts and figures out that she's turning into a werewolf when she does.